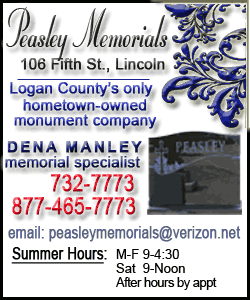 [July 12, 2010] LINCOLN -- Mary E. Smith, 97, died Sunday, July 11, 2010, at 12:47 p.m. at St. Clara's Manor in Lincoln. Her funeral will be at 2 p.m. Thursday at Fricke-Calvert-Schrader Funeral Home in Lincoln, with the Rev. Mark Thompson officiating. 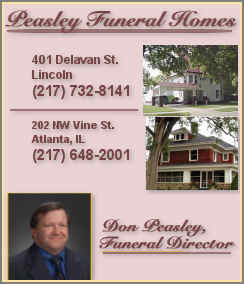 Visitation will be from noon to 2 p.m. at the funeral home. Burial will be in Zion Cemetery. Mrs. Smith worked at Myers Brothers clothing store as a sales clerk for 13 years. 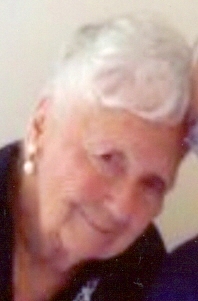 She was born Sept. 22, 1912, in Port Byron. Her parents were C. Ross and Ella Schafer Wainwright. She married Louis E. "Ted" Smith on Oct. 15, 1938, in Nashua, Iowa. He preceded her in death on May 13, 2005. She is survived by two daughters, Lana (and Ron) Goldhammer of Lincoln and Lynda Klockenga (and Bob Guy) of Lincoln; one brother, Alfred Wainwright of Port Byron; five grandchildren, Craig (and Michelle) Goldhammer, Chad (and Bridgette) Goldhammer, Brent (and Emily) Klockenga, Blake (and Natalie) Klockenga and Lindsay (and John) Ingram; and 10 great-grandchildren, Michael and Elizabeth Goldhammer, Brandon and Brooke Goldhammer, Brady, Brenden and Kortney Klockenga, Chelsea and Lauren Klockenga, and Kindsay Ingram. She was also preceded in death by three sisters. She was a member of the First United Methodist Church of Lincoln. Memorials may be made to Zion Lutheran Church in Lincoln or the activity department at St. Clara's Manor. Click here to send a note of condolence to the Smith family.